United Airlines will support the $270m (€220.8m) redevelopment of Los Angeles Memorial Coliseum after agreeing a naming rights deal for the historic stadium. Under the 16-year contract with the University of Southern California, operators of the Coliseum, the 93,000-capacity venue will officially become the United Airlines Memorial Coliseum beginning in August 2019. Financial terms were not disclosed, but ESPN.com said the deal is worth $69m. As part of the renovation, the iconic peristyle will be restored, honouring its original design. Improvements made possible in part by the United naming rights agreement include additional aisles, handrails, wider seats, more legroom, cup holders, updated Wi-Fi, concession expansion and improvements, along with updated electrical, mechanical and plumbing systems. Audio and video systems also are being upgraded. A new Scholarship Club Tower will feature suites, loge boxes, club seats and a lounge. These amenities will provide donors with the opportunity to further underwrite the Coliseum restoration, as well as support the Trojan Athletic Fund, which will raise the balance of the funds needed to complete the restoration and upgrade. 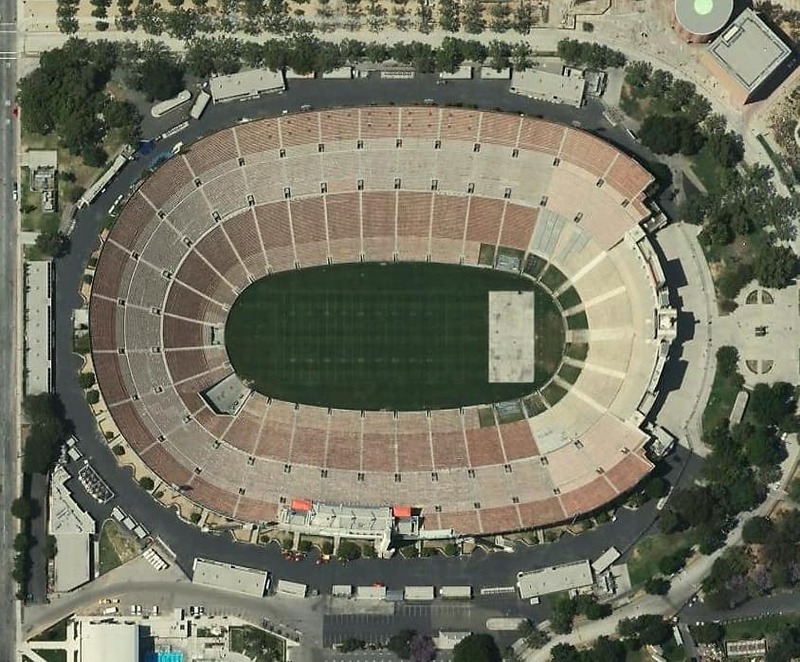 As well as college American football team the USC Trojans, the Coliseum also currently serves as the home of NFL team the Los Angeles Rams ahead of its move into a new stadium. Trojans and Rams home games will continue during construction. The only venue in the world to have hosted two Olympic Games, two Super Bowls and a World Series, the Coliseum will be home to both opening and closing ceremonies, as well as athletic events for the 2028 summer Olympics in Los Angeles. Since opening almost 95 years ago, the Coliseum has welcomed over 118 million visitors at more than 4,500 events. Originally commissioned as a memorial to honour Los Angeles World War I veterans, it was later rededicated in 1968, the 50th anniversary of the Armistice, to include all who served in the U.S. Armed Forces during World War I. The Coliseum was declared a state and national historic landmark in 1984.